Ti-Chen Chen, Ph.D., is the Director of Quality Assurance and Regulatory Compliance at Forest Devices. Dr. Chen holds a Ph.D. in Biomedical Engineering from Institute of Biomedical Engineering from the National Taiwan University and a Masters in Engineering and Technology Innovation Management from Carnegie Mellon University. Prior to joining Forest Devices, Dr. Chen worked with the Taiwan Supra Integration and Incubation and Center (Si2C) assisting academic teams in the medical devices and pharmaceuticals industries with their early stage concepts; specifically, helping them compile Target Product Profile to be announced by the FDA. 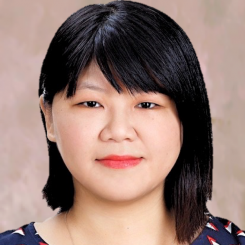 She is a Regulatory Affairs certified member of RAC Global and supervised the execution of the government funded SPARK program in five Asian anchor universities, including the National Cheng Kung University. At Forest, Ti-Chen leads the implementation and maintenance of the company’s quality management system and regulatory compliance practice.